If you are in Warsaw, IN and looking for your next used vehicle, you should stop in at USA-1 Auto Sales in Goshen and Elkhart, IN. We do our best to provide you with a large selection used cars for sale to choose from. We also make it easy to get financed as your Buy Here, Pay Here dealer that can work with any financial situation. Get in touch with us to find out how we can help you get into a car you love at a price you enjoy. Directions to USA-1 Auto Sales Elkhart from Warsaw, IN. Directions to USA-1 Auto Sales Goshen from Warsaw, IN. When you start looking for your next used car for sale in the Warsaw, IN area, you should check out USA-1 Auto Sales. Both of our locations make it easy to browse our inventory and find the right car for you. No matter what your current financial situation is we will work with you to get you back on the road in one of our great used cars for sale. At USA-1 Auto Sales we have many great used minivans for sale that you can easily browse online or in person. Either way we make it easy to get into a minivan that you need at a price you like. We do our best to work with you no matter what your credit looks like, so come in today and see what we can do to get you into one of our used minivans for sale. As your local Buy Here, Pay Here dealer, we make it easy to get financed no matter what kind of financial situation you are in. We can get you financed with bad credit and even no credit. We do our best to help Warsaw, IN get back on the road in a car that they love. You can apply online or in person, whichever works best for you. Stop in today and let us help you. 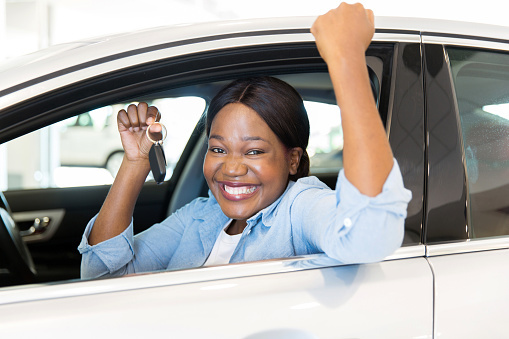 If you are looking to trade-in your current car when you buy your next used car for sale, USA-1 Auto Sales is the place to go. We do our best to offer you top-dollar for your trade-in so you do not have to worry about selling it on your own. Get an estimate today and start figuring out what your financial situation is at your Buy Here, Pay Here dealer. For more details on our new cars for sale or used cars for sale and the services we provide to drivers in and around the Warsaw, IN area, please feel free to contact us through our website or call us at 574-264-1001 or 574-971-8484 .